History of the 1st Battalion the Worcsetershire and Sherwood Foresters Regiment (29th/45th Foot). In 1694, Britain was at war with France and William III, needing more troops ordered Colonel Thomas Farrington, an officer of the Coldstream guards to form a new Regiment. This Regiment became known as Farrington's Regiment of Foot following the custom of the period of naming Regiments after their Colonel. In 1751 (by which time the Regiment had changed its name eight times under successive Colonels) the system changed and all Regiments were given numbers based upon the date of their formation and the Regiment assumed the title "The 29th Regiment of Foot"
The first few years of the Regiment's history were spent in England and Ireland, though with the War of the Spanish Succession developing in Europe it was not long before Farrington's regiment joined the Duke of Marlborough's force in Holland where it arrived in March 1704. However it was several months before the Regiment became actively engaged, namely at the lines of Brabant when Marlborough's force met that of Marshal Villeroi in an inconclusive action. This was followed in 1706 by a decisive British Victory at the "Battle of Ramilies" in which the Regiment gained the first of its many Battle Honours. THE WARRANT OF LODGE NO. ISSUED WHILST UNDER THE TITLE OF THE 29TH REGIMENT OF FOOT ON 3rd MAY 1759. 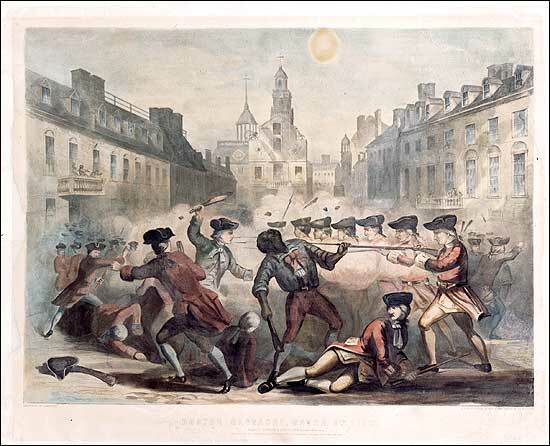 THE BOSTON MASSACRE - 5th MARCH 1770. The Boston Massacre - 5th March, 1770. 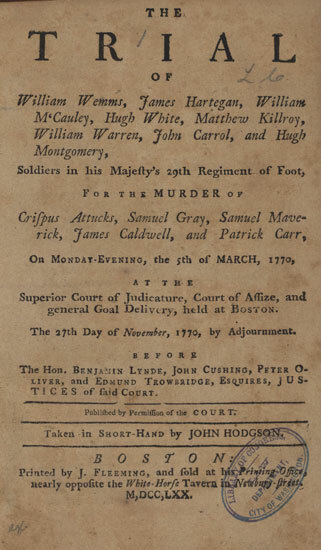 An officer and nine soldiers of the 29th Foot were subsequently tried for murder but were ably defended (seven being acquitted and two being found guilty of manslaughter), ironically, by John Adams who subsequently fought against the British in the War of Independence, and was the 2nd President of the United States of America and father of John Quincy Adams, 6th President of the United States of America. In 1782 individual Regiments began to be linked territorially to counties and the 29th Regiment of Foot was linked to Worcestershire becoming the 29th (Worcestershire) Regiment of Foot. The 29th(Worcestershire) Regiment of Foot returned to their new home of Worcestershire in 1787. On June 1, 1794 the 29th were serving as marines aboard the English Fleet of Lord Howe as it defeated a French fleet in the North Atlantic, this battle became known as the "Glorious First of June". For this engagement the 29th earned the Naval Crown for their colours. From 1808 to 1811 the 29th served with the Duke of Wellington's Army is Portugal and Spain. The regiment earned battle honors at the Battles of Rolica, Vimiera, Talavera and Albuhera. The 29th suffered heavy casualties at Albuera and was sent home to England to recruit. In 1842 the 29th was sent to India and fought in the Sikh Wars earning more battle honors at Ferozeshah, Sorbraon, Chillianwallah and Goojerat. At the Battle of Sorbraon the 29th and the 10th Regiment of Foot met in the captured Sikh trenches cementing a friendship between the regiments that last to this day. 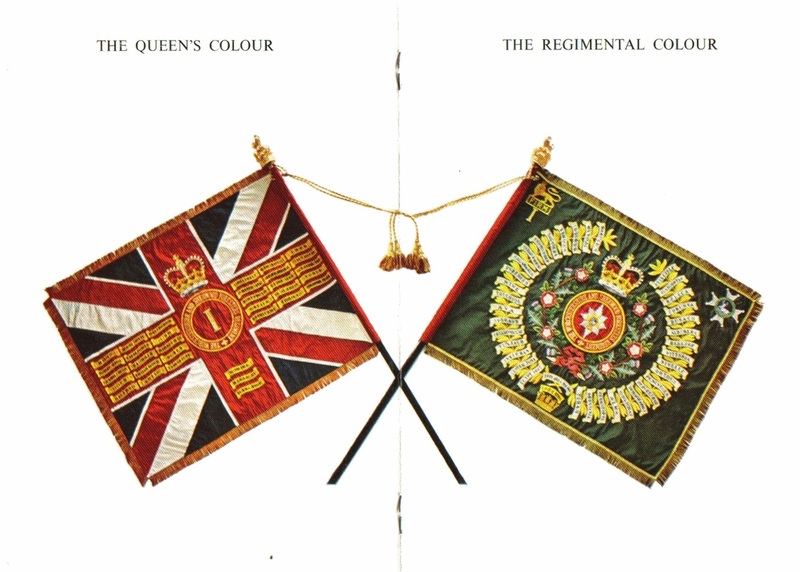 Officers and NCO's of both regiments refer to each other as "My Dear Cousin". In 1881 the Cardwell reforms of 1881 brought together the 29th and 36th Regiments of Foot with the Militia of Worcestershire together with the Volunteer Regiments. The 29th (Worcestershire) Regiment of Foot became the 1st Battalion of the Worcestershire Regiment and the 36th became the 2nd Battalion of the Worcestershire Regiment. At the outbreak of the Boer War both the 1st and 2nd Battalions were mobilized and sailed to South Africa. The 1st Battalion arrived in South Africa at the end of March 1900 and during April they concentrated at Edenburg. When the War broke out there were four Regular Battalions, two Militia and two Territorial Battalions forming the Regiment and from these eight Battalions the Regiment expanded to 22. Throughout its bloody course, the War claimed lives of over 9,000 of the 13,000 officers and men who filled its ranks. Most of the actions in which the majority of the battalions took part were across the muddy, pock-marked battlefields of France and Flanders. However, some battalions were also engaged in the fighting in the Dardanelles, Salonika, Mesopotamia, Russia and Italy. In all, nine Victoria Crosses were awarded to members of the Regiment (of which two were awarded to members of the 1st Battalion). Six of these VC's are on display in the Museum. In addition the Regiment won 82 Distinguished Service Orders, 327 Military Crosses, 238 Distinguished Conduct Medals and over 800 Military Medals. Colonel George William St George Grogan, VC CMG DSO late 1st Battalion the Worcestershire Regiment. At Aisne on 29 May 1918. For most of three days of desperate fighting he commanded the remnants of a Division and on the third day with complete disregard for his own safety he rode up and down the line under heavy fire of all sorts encouraging his men and reorganising and leading back those who had begun to retire.London Gazette 25th July 1918. 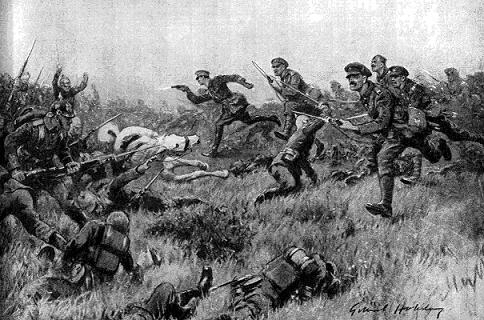 In March 1915 the British Army attacked the Germans at Neuve Chapelle. After two days of fighting, although the village had been captured the attack was still a partial failure; for the Germans had repaired the gap in their line and were preparing to re-take the village by counter-attack. Two Bavarian Battalions advanced against the front held by the 1st Battalion, who held their fire. When the enemy was within 70 yards the whole Battalion fired their 'mad minute' (at the rapid rate of fire of 20 rounds per rifleman per minute) and the Germans fell in large numbers. 'A' Company cleared the enemy from the abandoned trenches on the right, while the rest of the Battalion drove them back into their own lines and took part of the enemy trenches. Unfortunately this advance was unsupported and the Battalion was isolated and nearly surrounded. Although several attacks were beaten off, they were forced to withdraw across the open ground and met with heavy loss. On the following morning the Battalion was withdrawn into reserve, however, the situation had been saved by the defeat of the counter-attack and the ground previously won was held. As peace returned to the World, one after another the fighting Battalions of the Regiment were disbanded or reduced to Cadre and the soldiers who had gained the final victory came back in small parties to England. Between the Wars the 1st Battalion, apart from a period of active operations during the troubles in Palestine, divided its time between India, China and England in a relaxed peacetime way; with, in India, the usual diversions of polo and game shooting for the officers. When the War was imminent the 1st Battalion was in Palestine and its war service was, therefore, destined initially to be in the Middle East. The first Regular Battalion to join battle with the enemy was the 1st Battalion. They moved from Palestine, via Egypt to the Sudan and following the entry of Italy into the War, formed part of the British force which attacked the Italian Colony of Eritrea in 1941. The first Italian resistance came at El Gocni from which, after stiff fighting the enemy was ejected. Barentu was likewise successful and essentially a company battle in which 'A' Company played a prominent part. Ahead lay the fortress of Keren whose steep rocky approaches added to the stiff Italian resistance, however, this was also captured although the battalion suffered heavy losses. At the end of August 1941 the 1st Battalion moved to the Western Desert, where in the summer of 1942 they took part in the Gazala Battle and in the defence of Tobruk. The Gazala line stretched from Gazala on the coast some fifty miles south to Bir Hachim. It consisted of a series of isolated infantry localities, wired and mined, which were called "Boxes" and between which were large gaps that could neither be held by artillery fire nor plugged by tanks. One such locality was Point 187 near Acroma, midway between Gazala and Tobruk, where the Battalion stood to meet the German onslaught. By 13th June, 1942 the Germans had penetrated the surrounding defences and the Battalion Box became isolated. Enemy tanks attacked relentlessly and although some twenty of them were knocked out, all of the Battalions anti-tank guns had become casualties. Throughout the day the Battalion stayed true to its Motto of "FIRM" and as evening fell and with the desert a blazing inferno, orders were received for the Box to be evacuated. At Tobruk the German attack, which was launched on 20th June, 1942 was heralded by a fierce air bombardment after which came well co-ordinated artillery fire from both the Germans and Italians. This in turn led to a massive Panzer attack against which resistance was virtually impossible. Any attempt to break out to the coast was forestalled by the enemy who were too thick on the ground. A general surrender was ordered - unlike at Corunna and Dunkirk where the soldiers of the Regiment had withdrawn to safety; at Tobruk few escaped being made Prisoners of War. German medics tend the wounded. On 1st January 1943 the 1st Battalion was reformed by disbanding the 11th Battalion, a Service Battalion formed in May 1940 and drafting its personnel to the 1st Battalion. Soon after D Day in 1944 the Battalion arrived in France and their first action, which resulted in the capture of Mouen, was described by the Divisional Commander as "one of the slickest attacks of the war". After the break out came the spectacular drive to the Seine - over one hundred miles in three and a half days. This was followed by some intense fighting in which every man in the Battalion - drivers, clerks, orderlies and signallers fought like demons. The fierce fighting gave cover to the armoured drive to Belgium and Holland. After a spell of comparative quiet the Battalion once more went into battle, to try and relieve the gallant men of Arnhem. The battle to keep the corridor open was some of the fiercest the Battalion had experienced and in the fighting round the Nederijn three of its Company Commanders were killed. From then on it was only a matter of time before victory in Europe was assured and when it came the Battalion had reached an area North of Luneberg, thus ending the advance from Normandy to the Elbe. Since the Second World War the changing role of the Army resulted in drastic reductions. During the Post War years the Regiment continued in its usual down to earth way. Not least during the Malayan Emergency in the early 1950s, when it established a fine reputation through its operational successes. A campaign in which the George Cross was awarded to Awang Anak Rawang, a tracker attached to the 1st Battalion. The London Gazette 20th November 1951. During operations against the bandits in Malaya in May 1951 a section of a platoon of the Worcestersbire Regiment was ambushed by about 50 of the enemy. The leading scout was killed instantly and the Section Commander fatally wounded. Awang anak Rawang was hit through the thigh bone and at the same time a soldier, moving behind him, was hit below the knee, the bullet completely shattering the bone. Awang anak Rawang. although wounded and lying exposed under heavy rifle and automatic fire, collected his own weapons and that of the soldier and dragged him into the cover of the jungle. In view of the impending bandit attack Awang completely disregarding his own wound, took up a position to defend the injured man. There he remained, firing on every attempt made by the bandits to approach, and successfully drove off several attacks. Ultimately Awang was again wounded, the bullet shattering his right arm and rendering further use of his rifle or parang impossible. Despite loss of blood from his undressed wounds, be dragged himself over to the wounded soldier and took a grenade from the man’s pouch. He resumed his position on guard, pulled out the pin of the grenade with his teeth and with the missile in his left band defied the bandits to approach. So resolute was his demeanour that the bandits, who had maintained their attacks for some forty minutes, and who were now threatened by the other sections, withdrew. Awang anak Rawang is is still alive, aged 89, and is one of 20 surviving holders of the George Cross (as of todays date 18th march, 2012). 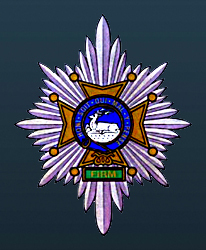 The above Cap Badge of The Worcestershire and Sherwood Foresters Regiment (29th/45th Foot) combines elements of the Cap Badges of the 1st Battalion, The Worcestershire Regiment and the 1st Battalion The Sherwood Foresters (Nottinghamshire and Derbyshire Regiments)(45th Foot) shown below. On the 8th February, 1970 The 1st Battalion, The Worcestershire Regiment amalgamated with the 1st Battalion The Sherwood Foresters (Nottinghamshire and Derbyshire Regiments) (45th Foot) to form The 1st Battalion The Worcestershire and Sherwood Foresters Regiment (29th/45th Foot). On 16th December, 2004 the Secretary of State for Defence announced, under the Future Army Structure, that the Worcestershire and Sherwood Foresters Regiment (29th/45th Foot) would become the 2nd Battalion The Mercian Regiment (Worcesters and Foresters). 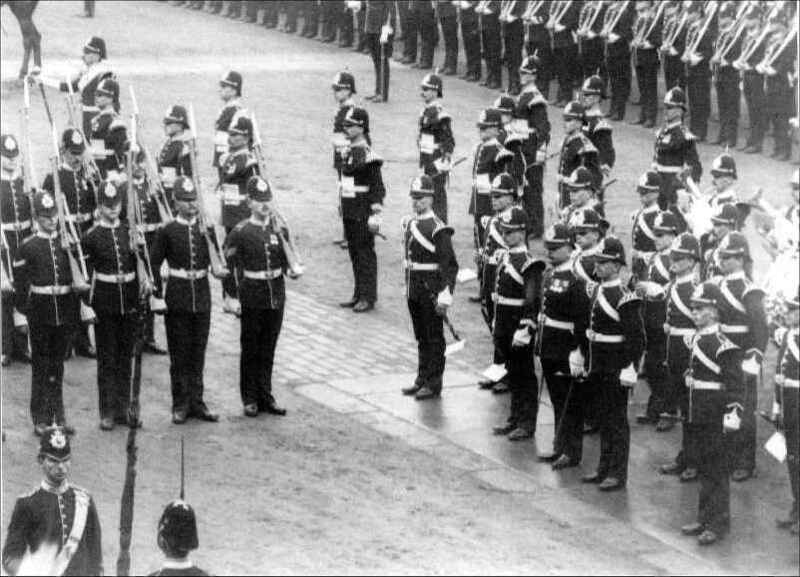 On Saturday 1st September, 2007 a new Regiment entered the order of battle of the British Army. That Regiment is THE MERCIAN REGIMENT (Worcesters & Foresters) and was formed by the merger of all regular and territorial elements of three (historically four) famous Infantry Regiments: The 22nd (Cheshire) Regiment, The Worcestershire and Sherwood Foresters Regiment and The Staffordshire Regiment.